– helping you boost efficiency and drive more profitability into your business. But how do you take the next step in making it happen for your firm? 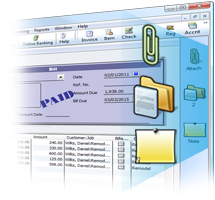 Simple, SmartVault accounting. In this interactive webinar, we’ll show you how SmartVault accounting can be integrated into common workflows in your practice – tax preparation, bookkeeping, “clean up” and virtual CFO services – so that you can work more efficiently, be more responsive to your clients, and ultimately deliver more profit to your practice. We’ll show you all that in less than an hour – and we’ll even take 10 to answer your questions live. SmartVault accounting combined with a Cloud Hosting Provider gives Accounting Pro’s an all in one virtual office solution by having the full desktop version of QuickBooks available anytime, anywhere synced in real time with their SmartVault system. Cloud9 Real Time is an Accredited Managed Service Provider delivering dynamic Cloud Solutions for Anytime, Anywhere access. Licensed by both Intuit and Sage for Commercial Hosting and offering a customized, privately labeled all-in-one virtual office solution. Voted best hosting company for Accountants in 2012 by 5000 readers of The CPA Practice Advisor, Cloud9 Real Time provides clients a secure and private cloud solution. On the forefront of cloud computing, giving users access to their Applications, Data and Exchange services in one central location, Cloud9 Real Time offers QuickBooks hosting as well as custom virtual server creation. Never charging for storage, IT or maintenance.